Why Did Anyone Believe Bashar al-Assad’s Promises of a Ceasefire to Begin With? The only real surprise about the six-point peace plan for Syria put forward by United Nations envoy Kofi Annan is why it took until yesterday, the eve of its proposed ceasefire, for the world to declare it a failure. Reacting to the latest violence throughout Syria on Monday, U.S. State Department Spokeswoman Victoria Nuland said that Washington is “not hopeful” that Tuesday would see a cessation of hostilities. But any such hope was naïve to begin with. Among the things the past year has taught us is that Syrian President Bashar al-Assad is a master of diversion. He is well-practiced at navigating the loopholes in international and domestic law, and acutely aware of the opportunities presented by repetitive non-binding statements. 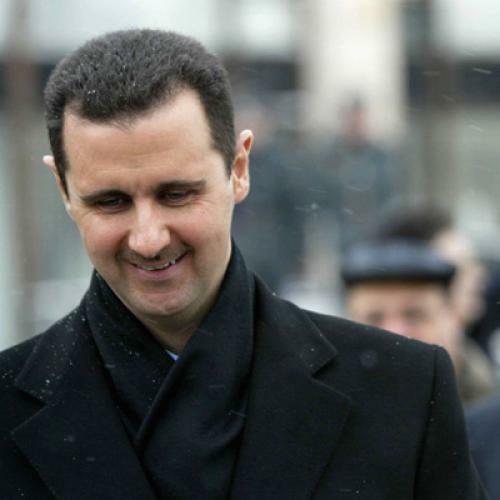 Unbacked by action, diplomacy has only ever provided cover and additional time for Assad to pursue his brutal goals. In that way, as long as the Security Council refuses to make a credible promise of force—endorsing and enforcing a strict deadline for a ceasefire—its efforts are unlikely to result in peace in Syria. Bashar’s legacy leaves little reason to believe that diplomacy is a promising way to deal with him. Consider, for example, his relations with Turkey. Since taking office, Turkish Prime Minister Tayyip Erdogan has endorsed a policy of “no problems with neighbors,” which meant he has earnestly pursued engagement with even the likes of Bashar al-Assad. That is why much of the international community had high hopes that Ankara would be able to persuade Damascus to solve its crisis through reform. But the previously friendly relations between the Turkish minister and the Syrian president have had little practical effect over the course of the crisis. The many requests and pleas made by Erdogan and his envoys over the past year have fallen on deaf ears. To be sure, Assad has tried to appease his neighbors by promising that his regime will pursue political reform—but he did not ever interrupt the Syrian army’s tank assaults on protesters. It is to his credit that Erdogan eventually saw through this charade. As the Syrian massacre continued, the Turkish president finally renounced his policy of engagement, and declared Assad to be an outright dictator. Just as Assad boldly made promises he knew he would never keep in Ankara, he has done the same with the Arab League. In November, the Syrian government agreed to a peace deal brokered by the League. Two days after pledging to end the violence, the regime opened fire on protesters. The Syrian army also continued its assaults in the presence of a mission of observers from the Arab League. Yet another link was added to Bashar al-Assad’s chain of bold-faced lies. Assad has continued his pattern of empty promises with the latest effort by the United Nations to halt the killing. Though he has pledged to cooperate with Annan, he has defied his attempts to establish dialogue between the regime and the opposition. And unsurprisingly, as soon as Assad agreed last month to Annan’s proposed April 10 deadline for the regime to impose a ceasefire and withdraw its troops from Syrian cities, he began paving the way for his continued defiance. Indeed, not long thereafter, Syrian Ambassador to the U.N. Bashar al-Jaafari announced that the government should not realistically be expected to withdraw its troops if the opposition does not lay down its arms, establishing a new condition for peace that was never intended by Annan. Indeed, whenever it makes an agreement, Assad’s regime is always already setting up its rationale for noncompliance. That is why, if there is any hope of turning the tide, and of capitalizing on an unprecedented level of international unity and action on Syria, the U.N. must not only endorse a deadline for a ceasefire, as it has already done—it must craft contingency plans in the event that Assad continues to defy the will of the rest of the world. Otherwise, it’s not only the lives of Syrians and the region’s fragile stability that are at risk, but the future credibility of the international community. Radwan Ziadeh is a spokesperson for the Syrian National Council and executive director of the Syrian Center for Political and Strategic Studies.